You are here: Home \ Blog \ How Should Interior House Painters in Los Angeles Handle My Furniture? Interior house painting is very delicate in the sense that the furniture should not get into contact with the paint. This requires a seasoned professional painter who will be able to know the right and convenient way of handling the furniture. In Los Angeles there are several professional painters who are capable of handling the furniture well such as our company. 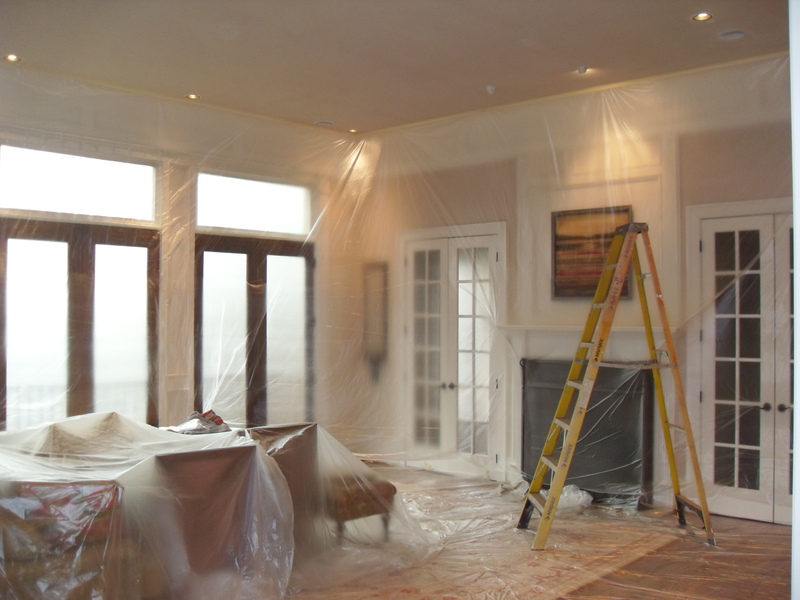 A painter should be careful when moving the furniture and should always cover them with drop cloths, tape, rosin paper, and/or plastic to ensure they are not damaged. The way that a painter handles the furniture will really be taken into consideration in order to maintain a good relationship with the clients. Before a painter starts the task, it is necessary that the furniture is well covered and should be uncovered when the paint has dried. So when you are ready to paint your home and you don’t want to worry about your furniture being ruined due to painters who are inexperienced and not careful then contact us. We are ready and available to provide you with a free estimate for your paint job and guarantee your home and furniture will be taken care of and left clean as if we were never there.